This award is presented to an individual who has dedicated his or her career to a historic hotel for at least a quarter of a century and has shown exemplary hospitality and service to the hotel and its guests. Ann Alba was raised in the family bar and restaurant business in Michigan; the “Art of Serving” is all that Ann Alba has known. Ann has called The Broadmoor home for the past 30+ years. “The Red Flash” as she is affectionately referred to, credits much of her success to simply being in the right place at the right time and by having worked with those who made an art out of service. Ann has worked her way through several positions at the resort including Banquet Server, Restaurant Server & Trainer, Lounge Manager and Operations Assistant Manager; all laying the foundation for her “dream job” as Vice President/ Resident Manager. Ann has served on the PPLA Board for 10+ years, currently in the role of President. In 2011, at the Stars of the Industry Awards, CHLA honored Ann with the ZENITH award, paying tribute to her consistently high performance level of excellence and outstanding accomplishments; they recognized her as someone who best symbolizes exceptional service in the hospitality industry. 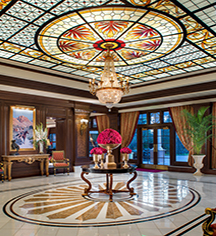 What started as a summer road trip to Colorado led her to the love of her life, The Broadmoor! 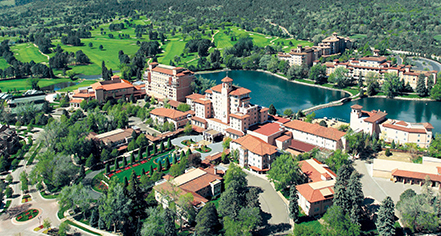 The Broadmoor is a charter member of Historic Hotels of America since 1989.